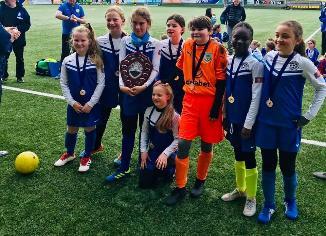 Congratulations to the T2 2019 Winners, Killinghall Nomads JFC U11s Girls. 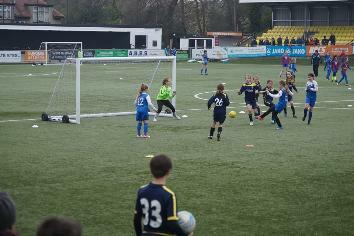 Many thanks to Harrogate Town AFC’s Ged Maloney who kindly arranged for us to have the use of their 3G Pitch. Venue: Harrogate Town CNG 3G, Wetherby Road, Harrogate. Tournament Rules, Fixtures, Pitch Plan & Results attached. It was a 10 a.m. start & 12:30 pm Finish at Harrogate Town CNG. Using three 7v7 small sided pitches, 3/4s of the CNG Pitch for 2 1/2 hours. The format was a full round robin, all teams play each other, consisting of 7x rounds of 10minute straight through football no play off was required. Fixtures were issued on the day. All girls attending received League Medals & there is a trophy for the Tournament Winners – so no girl was disappointed. Feedback from managers re the Tournament 2 was all very positive. Thank you to all for keeping it that way. All the manager/coaches that helped with the setup & put away of the Tournament. To all those coaches that refereed the matches. To Harrogate Town AFC & their Director, Ged Maloney, for hosting on the CNG 3G facility. 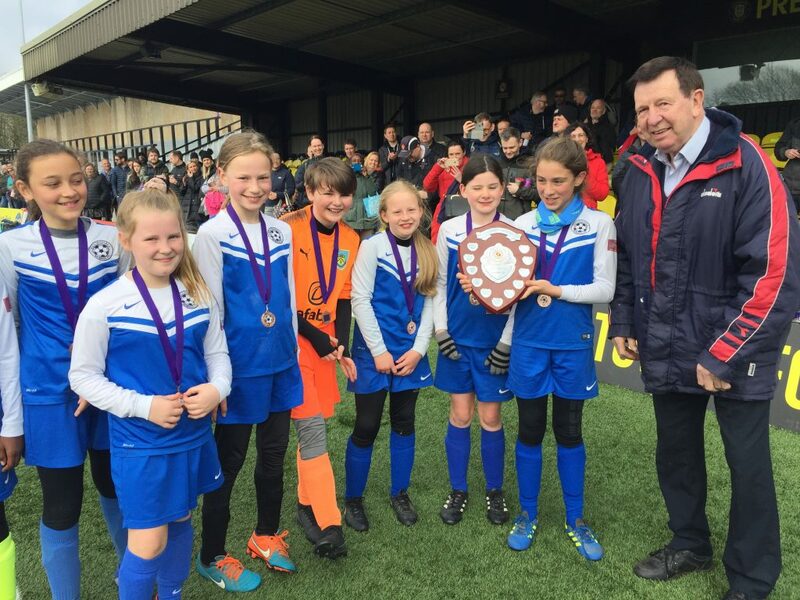 To the Harrogate & District Junior Girls Football League Secretary, Keith Thompson, for collating the results & to the Chairman, Councillor Cliff Trotter, for presenting the Trophy.